WASHINGTON — Penetrating U.S. intelligence, American businesses and the nation’s political system are the number one priorities for both Russia and China. Caught in a seemingly unending stream of ongoing spy scandals with the Kremlin — and a swell of Chinese espionage cases — the FBI appears to be facing its stiffest counterintelligence challenges in decades. These challenges, however, have already been underway for some time and didn’t just now appear out of the blue, according to the head of the Washington Field Office of the FBI. “In my opinion, I believe the FBI feels strongly that it’s not that Russia and China have been raising the bar. They raised the bar several years ago. We are already behind the curve, so to speak,” said Nancy McNamara in an exclusive interview with WTOP. The Kremlin, according to sources familiar with its activities, has sought revenge against the West, namely the U.S. and U.K., after embarrassing intelligence gaffes in 2018. Moscow was exposed by sloppy operational spy craft. The attempt to kill former GRU agent Sergei Skripal and his daughter, Yulia, in Britain last March was widely covered. And then, there was also the indictment of almost two dozen Russian intelligence officers by the U.S. Justice Department for a variety of crimes, including interfering in the 2016 presidential election. But, the arrest of Russian national Maria Butina last year on charges of acting as an illegal agent of the Russian Federation created a sense of urgency for Moscow to lash out, according to a U.S. intelligence source. McNamara, well aware of Moscow’s agenda, pointed out that it was the FBI’s Washington Field Office that arrested Butina. Butina pleaded guilty in December to conspiracy to act as a foreign agent in the U.S. 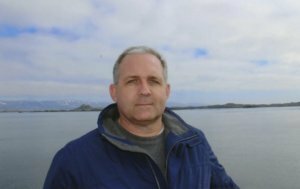 The surprising Dec. 28 arrest of American Paul Whelan in Moscow on espionage charges may be the beginning of a Kremlin retribution cycle. According to Whelan’s lawyer, Vladimir Zherebenkov, Russian intelligence surveilled him for a significant period of time, leaving U.S. intelligence expert Paul Joyal to believe Whelan was “set up” for a very specific purpose. And if there are illegal Russian agents operating in Washington, it would be the Washington Field Office’s job to find and arrest them. Joyal is intimately familiar with how Russian agents go after Americans. A vocal critic of Russian President Vladimir Putin — after his friend, Alexander Litvinenko, died of polonium poisoning in 2006 in London — Joyal himself nearly died after he was shot in March 2007 by two men whom he believes were sent by the Kremlin. The men escaped, and the case has never been solved. A Russian news agency, quoting “unidentified intelligence sources,” said Whelan was arrested after being caught in a Moscow hotel room allegedly trying to recruit a Russian citizen to gather “classified information” about personnel at Russian intelligence agencies. The news outlet, Rosbalt, founded and operated by the wife of a Russian government official, said Whelan was arrested shortly after he was given a USB stick containing a list of all the employees at a classified security agency. In July 2015, during the release of “Company Man,” an FBI-produced video warning American businesses about Chinese economic espionage tactics, Randy Coleman, the FBI assistant director in charge of counterintelligence at the time, told WTOP a storm was gathering. Coleman and his unit were seeing the infancy of the now full-blown Chinese espionage threat that McNamara, FBI executives and their field offices across the country are battling against today. In fact, she said their goal is to be the dominant global power in all of those disciplines by 2025. 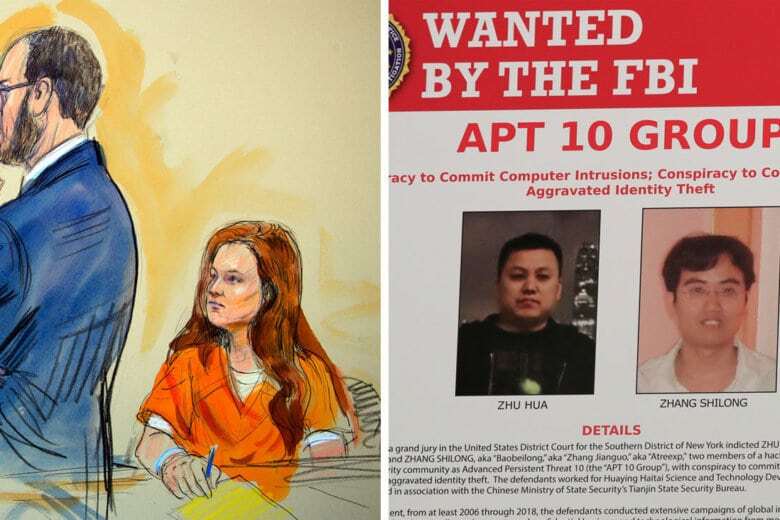 There have been numerous arrests and indictments of Chinese nationals on spy charges in recent years, but there have also been cases where Americans allegedly have joined forces with Chinese intelligence. Among them is the case of former CIA officer Jerry Chun Shing Lee, 53, of Hong Kong. In May 2018, he was charged with conspiracy to commit espionage and retention of national defense information. His alleged customer: Chinese intelligence. According to court documents, Chinese agents allegedly promised him they would support him for the rest of his life in return for his help. It’s not clear what that help was. The case is still ongoing in the Eastern District of Virginia. 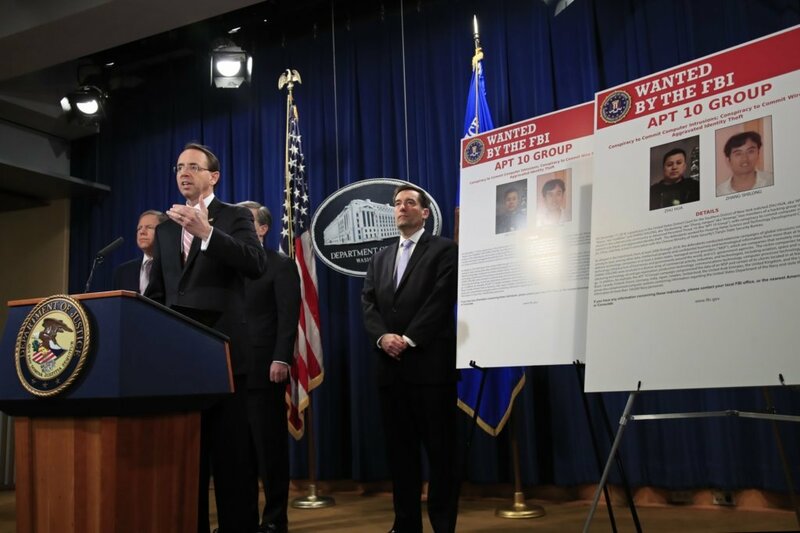 In another development, in late December 2018, two Chinese hackers associated with China’s Ministry of State Security and a hacker team called APT 10 was indicted by the Department of Justice. They had allegedly “engaged in an intrusion campaign to obtain unauthorized access to the computers and computer networks of more than 45 technology companies and U.S. government agencies, in order to steal information and data concerning a number of technologies,” the Justice Department said in a statement. The U.S. government, as do most if not all nations that are capable of it, also engages in espionage, but a part of the reason why Chinese and Russian threats are so pernicious is, according to McNamara, because they write their own rules.